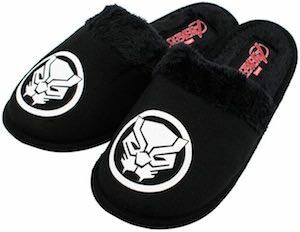 Now you can get some comfy Black Panther slippers. 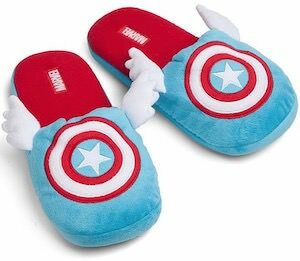 These Marvel slippers come in men’s sizes 7 – 14 and will be perfect for the female superhero fan too. These Black Panther slippers are black with on the front it has a white image of the Black Panther logo so that everyone will know that you are a big fan of the Black Panther and other Marvel superhero’s. 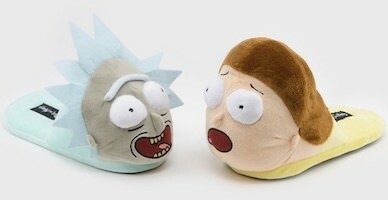 Now you can walk around your home wearing these amazing slippers instead of having to do it on your barefoot or socks. 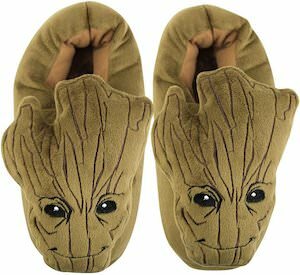 So surprise your boyfriend, husband, or dad with these amazing looking slippers. Now Batman fans can have warm feet all thanks to these Batman slipper boots. These Batman slippers come in sizes Small – XL and are just perfect for both men and women. The Batman boots look like what the Dark Knight would wear. 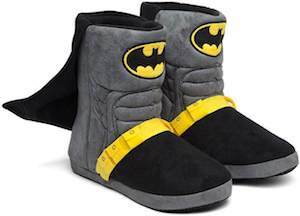 The Batman slippers are black and gray in color and have the Batman utility belt on it in yellow and the Batman logo on the front and that is not all because these are Batman boots so they gave them a black cape too. Besides being the perfect home slippers you can even choose to use these Batman slippers as part of your Batman costume. 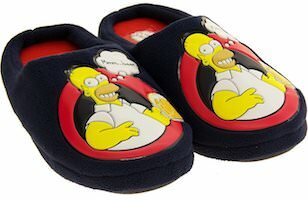 If you like warm feet and beer then you just need these Homer Simpson slippers. You can get these amazing Homer Simpson slippers in men’s sizes 8 – 11 and they make for a perfect present for yourself or a loved one that loves his beer. Now you can come home from work put of you shoes and put on these Simpson slippers, walk to the fridge and get a beer. 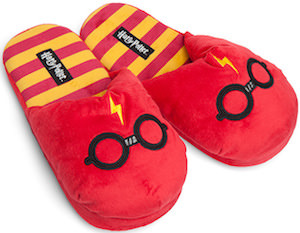 Now Harry Potter fans can wear cool slippers that are just perfect at keeping your feet warm while looking amazing. The slippers are red and yellow in color and yes those are the Gryffindor colors and as that is the house of Harry it really is perfect. On the top of the slippers you can see the glasses that Harry Potter wears and above that the lightning scar that you can find on his head. You can get these Harry Potter slippers in sizes Small – XL and they are just great for men and women and the nonslip bottom helps you get grip when you are walking around. 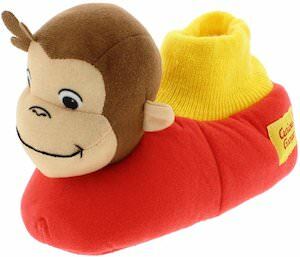 If your child loves Curious George and needs some slippers then these Curious George sock slippers are just perfect. The slippers are red with a yellow cuff and on the top of the foot the head of the Curious George monkey. Slippers like this are just great fun to look at and I am sure it will make it a lot easier for you to make you child to wear slippers because George is right there with every step they make and while they are playing around. And these Curious George slippers have a non-slip bottom to keep your kids safe while running around. No more cold feet thanks to these Pikachu slippers that are just perfect for every Pokemon fan with cold feet. The slippers are yellow with a red inside lining and the yellow slippers have the face of Pikachu on the front and the ears of the Pokemon are sticking up so that he can hear what is going on around you. 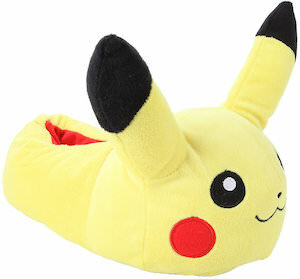 It may be difficult to catch Pikachu in Pokemon Go but these slippers are easier as you just have to put your feet into it and Pikachu is not going anywhere. You can get these fun Pokemon slippers in sizes Small – XL and they will look great on women and men and maybe you can even wear them when you play Pokemon Go. 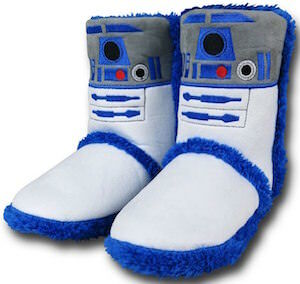 Now you can have warm feet while enjoying Star Wars because these slipper boots are there to help you create warm feet while looking like the most famous Star Wars droid R2-D2. These women’s slipper boots come in sizes Small, Medium and Large and are mainly white with blue plus edges and on the front shaft you can see R2-D2 details making them look real cool. The black soles of the slippers are pattern to prevent them from being slippery but that doesn’t really matter while you are watching a Star Wars marathon.